The Weekend Festival Ticket is valid for admission on Friday 7th June until Sunday 9th June 2019. Attention: This ticket only entitles the holder to enter the festival area. An additional ticket is required for parking and camping! The General Camping Ticket entitles the holder to camping and parking. The General Camping and Parking areas are open from 12pm Wednesday 5th June until 12pm Monday 10th June 2019. Attention: This ticket only entitles the holder to enter the General Camping and Parking area. An additional ticket for the festival is required to enter the festival area. The Rock'n'Roll Camping Ticket entitles the holder to camping and parking in the category Rock'n'Roll Camping. The Rock'n'Roll Camping and Parking areas are open from 12pm Wednesday 5th June until 12pm Monday 10th June 2019. It includes the option to connect to power supplied by the organiser in a radius of about 50m. Attention: This ticket only entitles the holder to enter the Rock'n'Roll Camping and Parking areas and the General Camping and Parking areas. An additional ticket for the festival is required to enter the festival area. 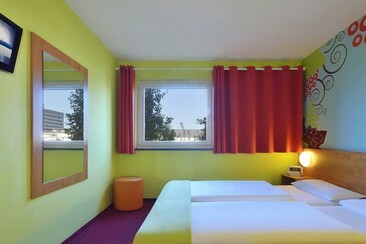 Located beside the Moselring road, the B&B Hotel Koblenz offers a fresh, modern design and easy access to the Old Town. The property offers comfortable smoking and non-smoking rooms with free Sky channels, air-conditioning and free Wi-Fi access. Guests can enjoy a generous breakfast buffet and there are vending machines in the lobby selling drinks and snacks. Koblenz main railway station is located close to the hotel where guests can comfortably explore the city using the public transportation system. The B&B Koblenz is also an ideal base for exploring the surrounding countryside with its beautiful vineyards. 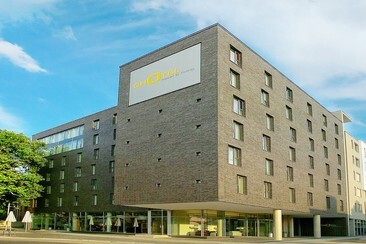 This 3-star hotel is located directly at Koblenz Train Station, around a 10-minute walk from the city centre. The property has 120 air-conditioned rooms featuring satellite TV, a safe, and a seating area. The bathrooms are en-suite and come with a hairdryer and complimentary toiletries. Guests can relax with a beer or a wine at the hotel bar and order delicious snacks such as Tarte flambee or pizza. The terrace is also open in the summer. Car parking is available in the public underground car park with direct access to the hotel. 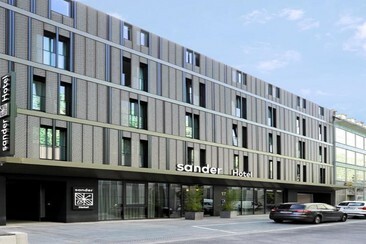 In close proximity to the historic old town, the town centre, and the train station, the Sander Hotel is a place of relaxation. You can treat yourself to a break with us – whether it is from a demanding business trip or an extensive sightseeing tour in and around Koblenz. The hotel is also a 2-minute walk away from Electoral Palace. Koblenz Theatre is 200 m away and Liebfrauenkirche Koblenz is 400 m from the hotel. The numerous glass windows guarantee that the rooms are flooded with sunlight. Warm, natural tones create a cosy atmosphere. Each room is equipped with its own home theatre: a 43” smart TV including the USB port and free high-speed internet throughout the entire hotel. A digital hotel brochure informs you about our services and current offers. Enjoy a refreshing shower in your design bathroom to really wake up. All rooms have a safe. This 4-star hotel in Koblenz stands next to the Rhein-Mosel-Halle convention centre and the Kurfürstliches Schloss castle, on the Rhine River. It includes a 24-hour gym with a sauna, a riverside terrace, and underground parking. 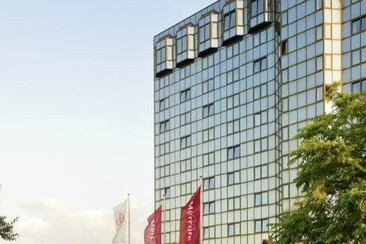 The air-conditioned rooms have a flat-screen TV, free Wi-Fi and a desk are provided by the Mercure Hotel Koblenz. Two free internet terminals are in the lobby. Food from the Rhineland-Palatinate region and international cuisine are served in the Mercure’s Finesse restaurant. Guests can also relax on the summer terrace and in the Riverside bar. The Rhein-Mosel-Halle bus stop is only 183 meters from the Koblenz Mercure. Buses run from the property to Koblenz Central Train Station in 10 minutes. Get to the festival in comfort and on time! One-way coach travel to Koblenz. This service is provided by Flixbus. On board the bus you will find free Wi-Fi, extra legroom, low-cost snacks and drinks, numerous plug sockets, toilets and a lot of room for your baggage. -- Your way to the Rock am Ring: Shuttle-Servie from Koblenz Central Station and back, Rhein-Main-Verkehrsverbund provides special coaches. Koblenz Central Station – NürburgringBus Stop Koblenz: Neversstraße 8, Coach departure point (located 300 m from Central Station in front of Sparda-Bank building). The duration of a one-way trip is app. 60 minutes. A return ticket is available at cost of 21 EUR, single trip ticket 13 EUR. A weekend-special-ticket costs 31 EUR and allows unlimited coach trips at this route during the festival weekend. While tickets are sold at RMV customer service center at the departure point from Wednesday through Friday, tickets are only available at the busses on Saturday and Sunday. Return tickets on Monday are sold at a mobile ticket point at Nürburgring D10. Get to the festival in comfort and on time! One-way coach travel to Cologne South, Airport. This service is provided by Flixbus. On board the bus you will find free Wi-Fi, extra legroom, low-cost snacks and drinks, numerous plug sockets, toilets and a lot of room for your baggage. 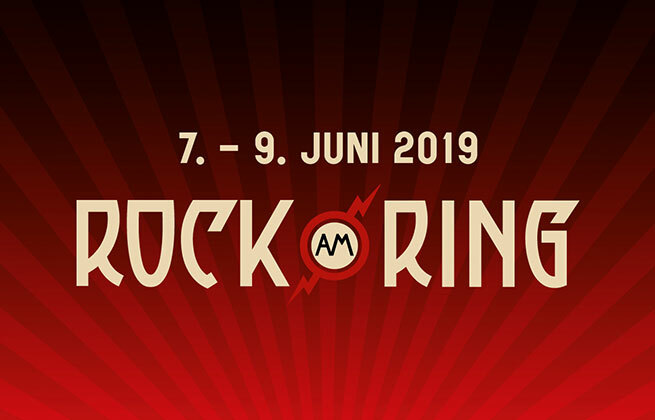 --- Your way to Rock am Ring: Schneider-Bank Reisen is operating coach services from Cologne Central Station, Airport CGN, Bonn Central Station and Nürburgring D10. Tickets must be bought in advance and are available at Schneider-Bank’s online ticket shop. Get home in comfort and on time! One-way coach travel from Koblenz. This service is provided by Flixbus. On board the bus you will find free Wi-Fi, extra legroom, low-cost snacks and drinks, numerous plug sockets, toilets and a lot of room for your baggage. --- Your way to from Rock am Ring to Koblenz: Shuttle-Servie from NürburgringBus to Koblenz Central Station, Rhein-Main-Verkehrsverbund provides special coaches. The duration of a one-way trip is app. 60 minutes. A single trip ticket costs 13 EUR. A weekend-special-ticket costs 31 EUR and allows unlimited coach trips at this route during the festival weekend. While tickets are sold at RMV customer service center at the departure point from Wednesday through Friday, tickets are only available at the busses on Saturday and Sunday. Return tickets on Monday are sold at a mobile ticket point at Nürburgring D10. Get to home in comfort and on time! One-way coach travel from Cologne South, Airport. This service is provided by Flixbus. On board the bus you will find free Wi-Fi, extra legroom, low-cost snacks and drinks, numerous plug sockets, toilets and a lot of room for your baggage. --- Your way from Rock am Ring to Cologne Airport: Schneider-Bank Reisen is operating coach services from Nürburgring D10 to the airport. Tickets must be bought in advance and are available at Schneider-Bank’s online ticket shop. Rock am Ring is one of the biggest and widely renowned rock music festivals in Europe, if not the world, held at Germany's Nürburgring. Now in its 34th edition, a vast array of rock music royalty have bestowed their presence upon ardent festival-goers since 1985, seeing U2, David Bowie, Pearl Jam, Aerosmith, Rage Against The Machine, Radiohead, Metallica, and Iron Maiden all perform on the Center Stage, forging its own opulent tradition in the pantheon of rock 'n' roll mythology. Along with sibling festival Rock im Park that takes place concurrently, the festival usually hosts over 150,000 amped-up rockers and headbangers, there to see the world's most prestigious rock, metal, and punk artists. The legendary headliners taking the stage this year are Tool, Slipknot, and Die Ärzte, with a mixture of rock royalty joining them; the likes of Slash feat. Myles Kennedy and The Conspirators, Alice In Chains, Amon Amarth, The Smashing Pumpkins, and Slayer. If you call yourself a rock 'n' roll die-hard, then this is most definitely the festival to tick off the bucket list. The Nürburgring is a world-famous racing track.